Confidence: You need to compete with kids from metropolitan cities. 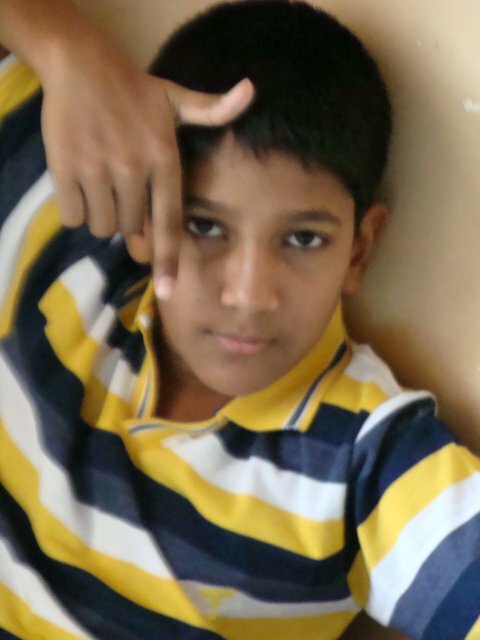 A child from a far-out village in Goa barely gets such opportunities. This is your chance to prove yourself not just in the kitchen, but to prove your overall confidence too. Please note, I said confidence. Do not attach an “over” before the word. You’ll ruin it for yourself. Faith: Siera and I totally believe that there’s a God who makes way for us. Till now, if both your sisters are doing well for themselves, if Siera can take the place of a father and look after the entire family, there is definitely a God taking care of us. DEPEND on Him. Call on the Holy Spirit every time you set out to do something. He will never let you down. Have faith in yourself, and in the prayer you make. Look Ahead: Many people – family and friends – will continuously shower you with their advice. Choose only those pieces of advice that make sense to you. The rest, leave it in the air! Last afternoon, as we sat working in office on the 17th floor of Mittal Towers, smoke in the air, followed by chaos on the street caught our attention. The view wasn’t all that clear as a result of tall buildings in the vicinity. But we did manage to get a glimpse of the fire that broke out at the Mantralaya, which went on till the top of the building. 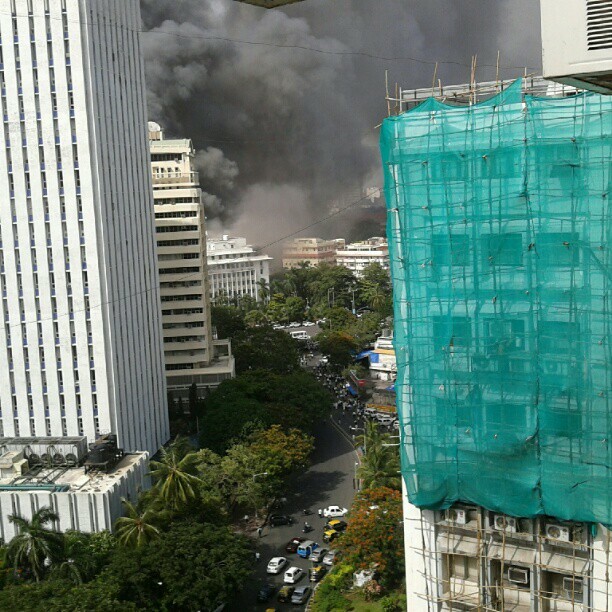 In fact, we could still see smoke being released from the burnt windows of the Mantralaya this morning as well. Unlike my other posts, this is not at all a happy article. Do take a look at these images I managed to capture from my office window. 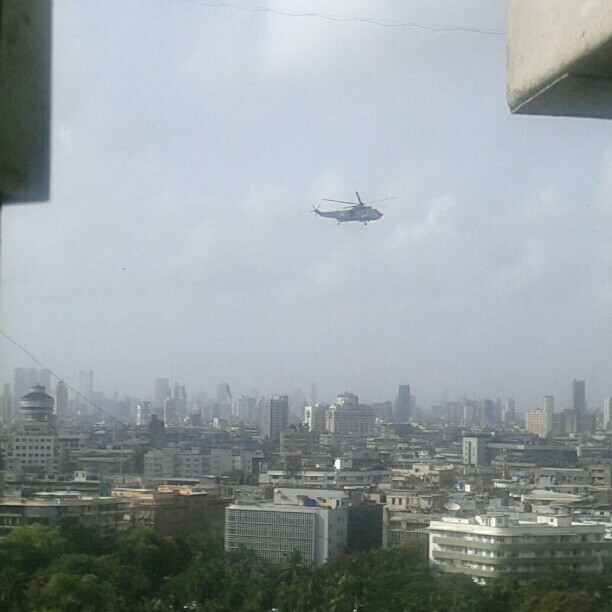 Naval Choppers come to the rescue. Photograph taken at 5:00pm on June 21, 2012. 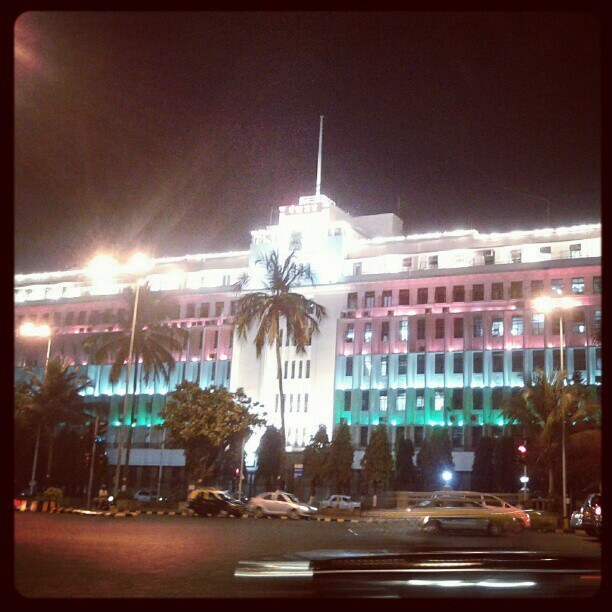 This is how beautiful Mantralaya looked on the eve of Republic Day. I really don’t know how to start. The reason I’m writing this is because I’ve completed one year as a full-fledged employee! One year! It’s crazy where I’ve actually landed. No! No! I ain’t complaining ‘coz what I’ve gathered is way beyond my expectations. I kick-started my career with a Mumbai based lifestyle website called InOnIt.in on June 13, 2011. In the beginning it was just creating content, getting in touch with new stores, restaurants, spas and salons, or gathering information on the latest happening in Mumbai. The point is that I always wished to be a reporter. A hard news reporter. I wanted to handle either crime or politics. But alas! No newspaper was willing to hire graduates. I’d almost made it through at The Indian Express (my favourite newspaper) as a trainee reporter, but the position was filled by a post graduate from the Asian School of Journalism. Quite depressed, I took up what came first to me. And it was InOnIt. The first three months were good. I had a very good friend working along with me. InOnIt was still a baby then. Not many people knew about the website. The next three months, I took hold of the Shop and Services categories, and not forgetting, food reviews. Interesting! But what came next was even more interesting, and that’s what I’m enjoying right now. After six months i.e. in December 2011, sister website/ e-store/ online shop – Shop InOnIt was born. We were all excited, and by January 2012, I moved from InOnIt to Shop InOnIt to manage the e-store. At this point I realised writing was not my cup of tea. Three months. For exactly another three months, I mainly managed customer service. It was a routine job. Interacted with many customers, replied to emails, simultaneously got in touch with new labels and then once gain it was time to climb the ladder. So, after my position was filled, I moved on to manage products on Shop InOnIt. This is precisely what I do now. Sadly, nowhere do I showcase my qualities of a reporter. But, there is yet another development. Now I get a chance to interact with designers. With the launch of an in-built blog, I will be interviewing a whole load of designers. I like talking to people, and the Asian Age features team, where I complete a six months internship, will not deny.